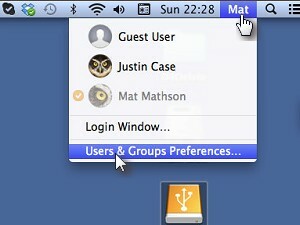 On your Mac OS X powered computer, go the menu/toolbar above, click the username you are signed in with (Mat is my username) and choose Users & Groups Preferences... (see picture). 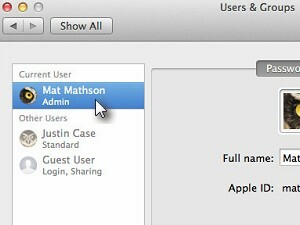 Choose the Current User (it is probably already chosen). Now enter your current password (Old password), think of a new one and enter it and then enter your new password once more, to confirm/verify it. 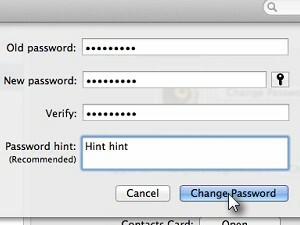 You can also enter a password hint in case you will forget your new password. It will be much easier for you to recover it. 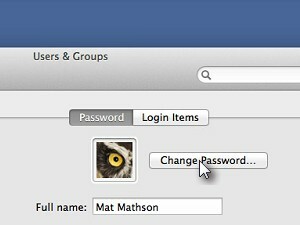 Just don't make the password hint to obvious. Click Change Password when done.